Tabbouleh is a Middle Eastern salad made with cous cous or bulgur, tomatoes, cucumber, and fresh herbs like parsley and mint. I substitute quinoa as the grain and add chickpeas to bump up the protein, transforming this side-dish into a substantial meal. 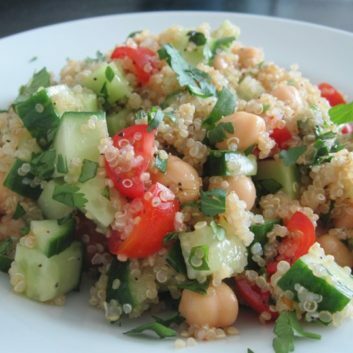 In a medium bowl, combine the quinoa, chickpeas, cucumber, and tomatoes. In a small bowl, prepare the dressing: Whisk together the lemon juice, olive oil, parsley (if using), salt (if using), and pepper. Pour the dressing over the salad and toss together to coat evenly. Tip: Quinoa is considered a whole grain, but it’s actually an edible seed that contains more protein than other starches. 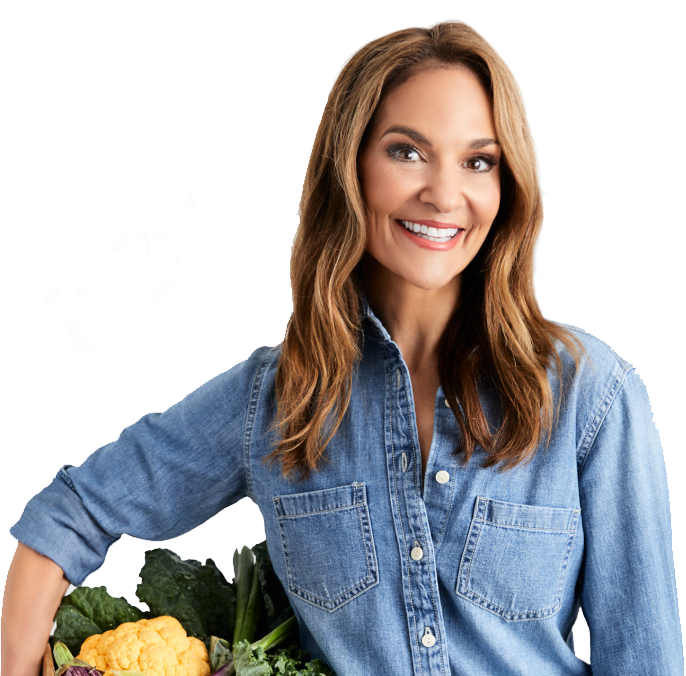 Toss in some beans and chopped veggies, and you’ve got a light, fresh vegetarian salad that delivers almost half of your daily recommended amount of heart-healthy fiber.